A graduate of the University of Washington School of Business, Chris was born and raised in Seattle and is happily married to his wife, Kristy. They have two sons, John and Connor and a daughter, Lauren. Interests include playing with his kids, travel, sports and all things related to golf. A graduate of the University of Washington, with a degree in International Business and Economics. Kevin is happily married to his wife, Kelley. They have 4 children, Patrick, Katie, J.J. and Clara. Hobbies include travel, all sports and recreational activities, coaching various sports for the kids along with being a fan. A graduate of Washington State University, with a degree in Marketing and a Minor in Real Estate. Brenden was born and raised in Seattle and enjoys playing golf, watching sports, traveling, boating on Lake Washington and hanging out with friends and family. A graduate of the University of Washington with an undergraduate degree in Economics and a MBA in Marketing. Peter is married to Lynwood and they have 6 children and 3 grandchildren. Golf, grandkids and household chores are Peter's hobbies. A graduate of the University of Arizona, with a degree in Business Management and a certificate in Sports Marketing. JB was raised in Seattle, maintaining a foothold in the golf community from a very young age. Being a participant in Washington Junior Golf, a Metro League Golfer, Member at Broadmoor Golf Club, and volunteer at the First Tee of Greater Seattle, JB knows the industry's ins and outs. 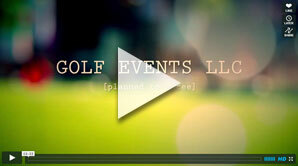 After going through a competitive interview process, we were thrilled to welcome JB to the Golf Events team last year. A graduate of Bates College in Maine with a Bachelor's Degree in American Cultural Studies, he was a two sport athlete (basketball and baseball). After visiting Seattle to see his brother - he knew he was going to stay. Since then, he has thoroughly enjoyed living in Seattle and the PNW, and loves that you can play golf year round. He also enjoys going to Mariners games and being out on the water whenever possible.